The Islamic State (IS, previously ISIS/ISIL) has released footage purportedly showing a young boy executing an Arab-Israeli man accused of being an “Israeli spy.” The extremist group claims the man infiltrated their ranks in Syria. In the video published on Tuesday evening, the victim identifies himself as 19-year-old Mohammed Said Ismail Musallam. He also describes his alleged recruitment by Israeli intelligence. He appears kneeling in front of the boy, who is believed to be no older than 12 years old, wearing an orange jumpsuit. The boy executioner stands alongside another man, who proceeds to issue threats against Jews in France, speaking in French. The boy then faces the hostage and shoots him in the head. The child executioner then shouts “Allahu Akbar,” (“God is greatest” in Arabic) and shoots the already dead man four more times. RT has chosen not to run the video, believing it is unethical to publish footage or pictures of atrocities committed by terrorists. Back in February, Musallam’s father Said denied the Islamic State’s allegations that his son was an Israeli agent. “My son is innocent; IS accused him of working for Mossad because he tried to run away,” Said told AFP, adding that Mohammed did go to Syria to join the ranks of ISIS. Said also mentioned that it is very likely that his son was recruited online and left his fire department job for that purpose. His last contact with Mohammed was from Raqqa, the center of jihadist control in northern Syria. After basic training with ISIS, Mohammed said he wanted to return home. Said was reportedly asked to raise a ransom for his son, but was unable to. All of his children are said to have Israeli passports. Meanwhile, the extremist group's online magazine, Dabiq, accused Mohammed of being involved with Israeli intelligence services, stating that his goal was spying on IS and other Palestinians fighting for the terror group. The magazine also alleged that Mohammed was recruited by his Jewish neighbor in Neve Yaakov in east Jerusalem, who worked for the Israeli security services. The publication stated that Mohammed's refusal to obey a commander's orders is what gave him away. Militants from IS – initially an Al-Qaeda offshoot group – control territory in Iraq and Syria and operate in other unstable regions of the Middle East, North Africa, and Asia, such as eastern Libya and the Sinai Peninsula of Egypt. The group has previously performed similar gruesome executions of Jordanian, Japanese, American, British, French, and Egyptian hostages, which were also filmed and published on social media. 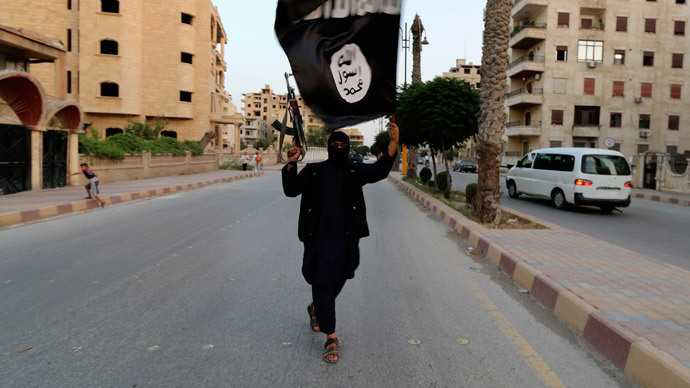 The Islamic State is also said to have executed hundreds of civilians in militant-controlled areas of Syria and Iraq.